Following the deaths of Duane Allman in 1971 and bassist Berry Oakley in 1972, The Allman Brothers Band didn’t quit. Even in the wake of tragedy, the band soldiered on, bringing pianist Chuck Leavell and bassist Lamar Williams into the fold and even making a new album, 1973’s Brothers And Sisters. That same year, they found themselves something of a national phenomenon: Their classic song “Ramblin’ Man” peaked at #2 on the Billboard charts in October, and they were quickly gaining a reputation as one of the best live acts in the country. 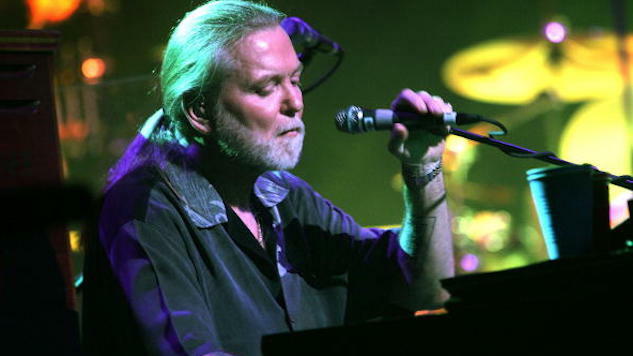 Listen to all three sets from The Allman Brothers Band’s 1973 New Year’s Eve concert below. Further down, watch an Allman Brothers concert circa 1982 via the Paste vault.